Milan is the epicenter of fashion, setting the tone for what’s haute and what’s not. Twice every year, a week is set aside for the ultimate festival of high fashion. I was fortunate enough to have caught the latest Milan Fashion Week. And, as I sipped my double espresso from my excellent vantage point in Piazza Duomo Square, I watched the city’s cobblestoned streets turn into veritable catwalks, filled with VIPs and fashion lovers from all over the globe. As the models strutted down the runway, I caught glimpses of gleaming gold jewelry sporting the proud heads of jungle cats. After a little digging I discovered these beautiful designer pieces cost as much as the actual exotic beast it celebrates. I immediately asked Daniele, our Italian maestro, to create this look hot off the Milan catwalk without costing as much as an endangered species. The Arezzo Pantera Collection is the stunning result. Our artisan in Arezzo has fashioned a masterpiece. 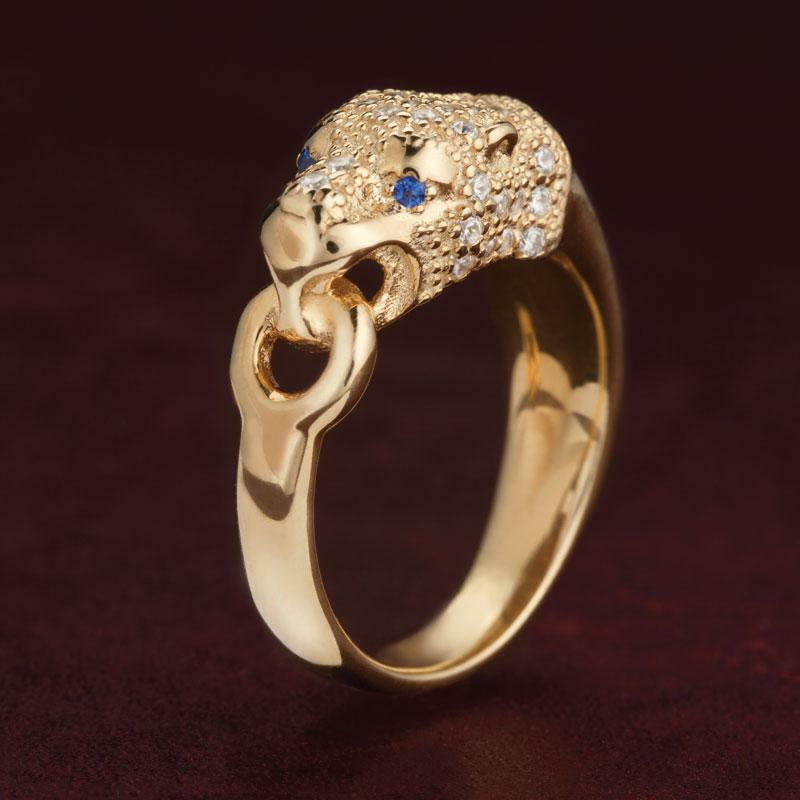 In the skilled hands of Fabio Aguti exotic panther heads are tamed by intricate Byzantine chains that incorporate two link styles— figaro and rosetta. The panther heads gently sparkle with white scientifically-created DiamondAura® stones and these big cats have dark blue DiamondAura eyes. Fabio has created an intriguing textural design, making chains that are supple and flexible, draping gracefully about the neck and wrist. Those big name designers have absolutely nothing on us, except a few zeros in the price tag.